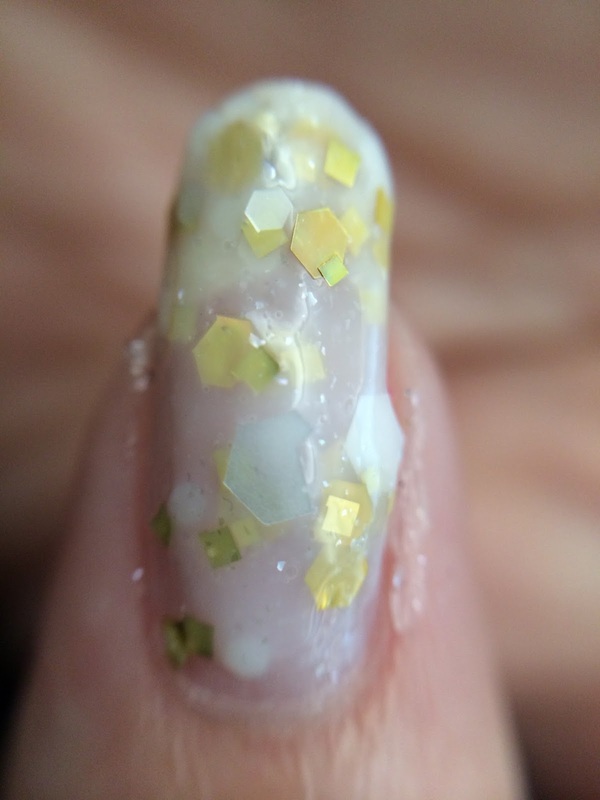 Part of my Battlestar Galactica themed polishes, this is The Opera House. 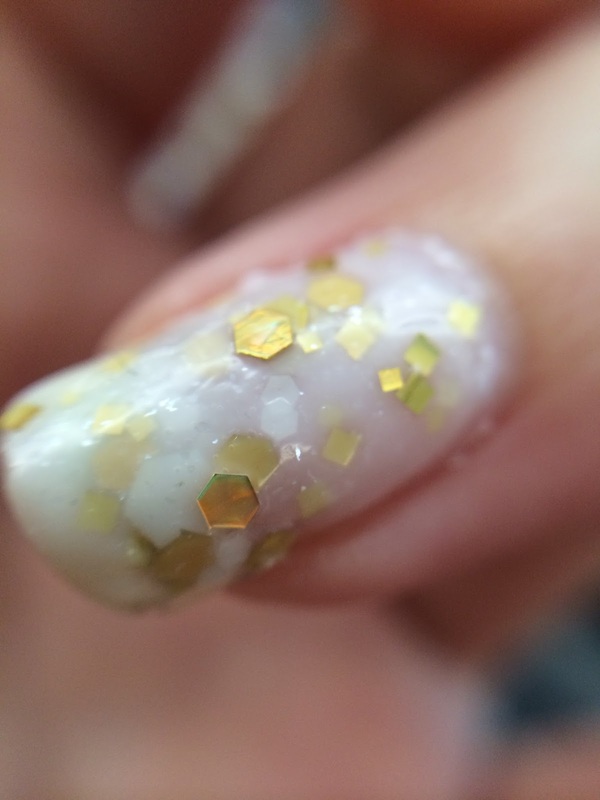 This polish represents the golden light ethereal scene of the Opera House. This has to be one of my personal favorites so far. 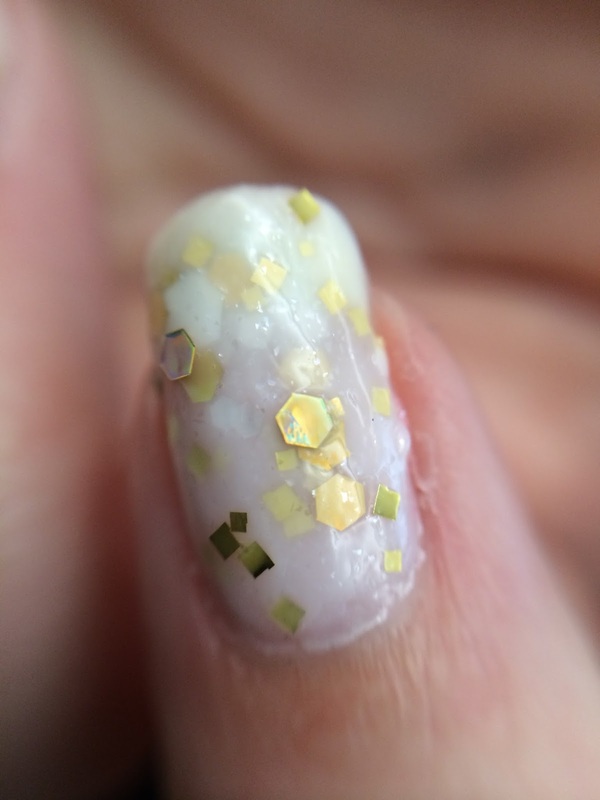 This is meant to be a top coat. You could have it opaque in about 3 coats. 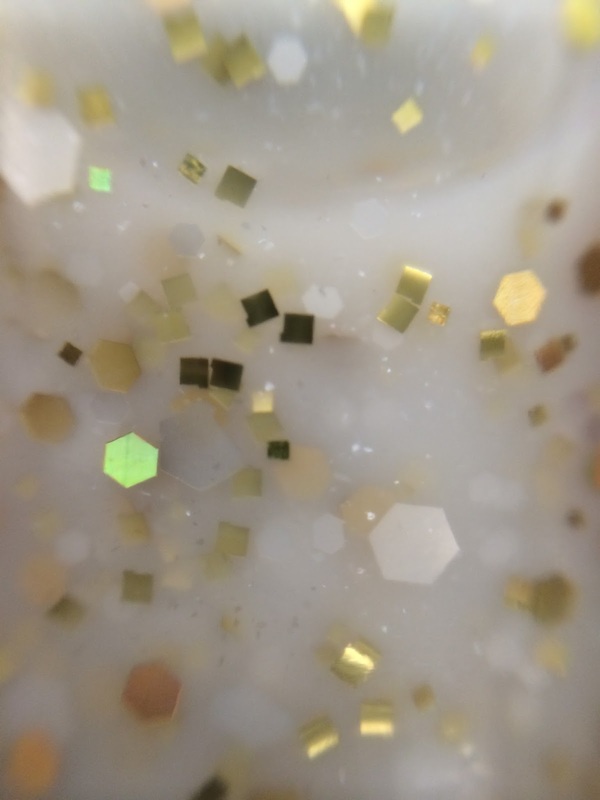 This shimmery white polish is full of various sized hexes and squares in white, golden holographic, and gold. 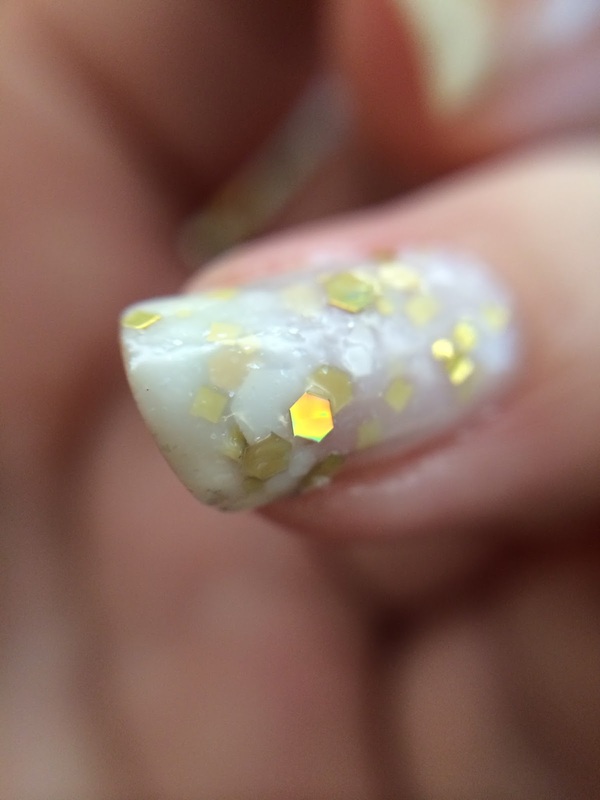 Some of the glitters may curl a bit in the bottle, this does not affect how they lay on the nail with your normal routine (basecoat, layering color, glitter polish, gelous (if you so choose) and top coat). Because of the size of the glitters this is meant to be thicker. If you find it a bit thick please add thinner until it reaches your consistency. 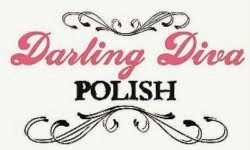 This polish is currently on last call status (Which means when its gone its gone.) at $6 a bottle. I used about 4 coats of this polish for my mani. I wish I could show you the gorgeous holographic of the gold hexes but the sun is taking a vacation so I have to deal with dreary light. I like this color better over a layer of white like its shown on DDP etsy page but its cute on its own. I love crelly polish and this one is no exception. Head on over and pick up a bottle of your own before its gone for good. I love this color and I love your nails in these pics!! great review!! !